Based on reviews from 2,988 experts and 378,917 users. Learn how our rankings work or see our guide to road running shoes. Updated Apr 2019. When it comes to daily road running, working out or training for marathons, the best tool that you can use to help you reach your goal is a reliable pair of road running shoe. Below is the complete guide to finding the best road running shoe that suits your needs. Road Shoes: Road running shoes are notably smaller and lighter than trail This type is built to run on flat surfaces with limited debris, which means that responsiveness and speed are prioritized than protection. Focusing on design, road running shoes have a more streamlined structure since they deal with a tamed environment, and don’t take a beating under usual circumstances. There are technical road shoes that are packed with features and technologies, but, the focus is on improving the runner’s performance. At best, a road running shoe will look like usual tennis shoes or sneakers. Trail Shoes: On the other hand, trail versions are more aggressive-looking. They deal with uneven terrain and encounter debris, such as rocks, roots, and mud with every use. 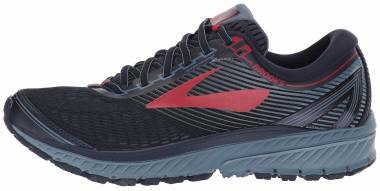 This running shoe prioritizes protection against debris and shock forces, as well as better landing control. Trail shoes are expected to be bigger and heavier than road running shoes, given the technologies incorporated in the structure, like the robust outsole, mudguard, waterproof lining, and toe cap. Trail Shoes: The durability of a shoe is based on the materials used by respective brands during manufacturing. Trail shoes are designed to have superior durability, so these won’t fall apart when taking a beating from nature. Road Shoes: Since road shoes do not tackle debris on the regular, these are made to have a lower durability threshold in exchange for flexibility and speed. This isn’t to say that all road running shoes are not durable. There are road shoes that have a high mileage, but they may not be as tough as the ones designed for the trail. Trail Shoe: The sole structures of road running shoes and trail shoes also highlight why these two types are different. Trail shoes commonly have aggressive lug patterns made from sticky rubber, since this sole structure is crucial to keep one’s traction and grip on uneven terrain (thick muddy surfaces, loose rocks, and hard-packed rocky paths). The more technical trail shoes often have sharp sole features so digging into the snow and mud would be easier, keeping balance and ground stability in check. Road Shoe: Road running shoes have flat under surfaces made from abrasion-resistant rubber. This type of sole structure would do well on paved walkways, marble floors, treadmills and roads in general. Road shoes have adequate traction and grip to handle flat grounds, whether dry or wet. The right pair can help prevent injury and make any run more energetic and comfortable. The question is, how do you pick the right road running shoe? How do you pick one that’s best for you? With so many options in the market, use this guide to help you make the best choice. Step 1: Determine your arch type and running gait. First, you need to determine your arch type. Your arch is the raised part of your underfoot. It is formed by tarsal and metatarsal bones, as well as tendons and ligaments. It acts like a spring, bearing the weight of the body while in the erect posture and attenuating the impact garnered by the foot upon landing. Those with flat or low arches are commonly referred to as flat-footed individuals. With this type, the arch of the foot is collapsed, with the sole is coming in contact with the ground completely or almost completely. Some people do not experience any problems caused by flat feet. However, since the flatness of the arches affects the body’s posture and alignment, it could contribute to pain in the back, hips, feet, and ankles. Flat-footed runners tend to overpronate. Normally, the foot rolls inward whenever we run. This inward rolling is called pronation. With overpronation, the foot rolls inward more than normal to meet the ground. A high arch can also be called a high instep. Medical practitioners refer to a foot with a high arch as a Cavus foot. High arches are evident. One will be able to observe that the sole looks concave or hollow. There will be little to no contact of the middle part of the underfoot to the ground. Similar to flat-footed people, those with high arches may just be asymptomatic. There is still, however, that risk of pain. Compressed metatarsals may be the main cause. As a result, some high-arched runners complain of knee or back pain, constant tripping due to ankle instability, painful callosities, and even ankle arthritis. When running, the foot may not pronate at all. Some pronation is ideal so that the impact upon contact to the ground is evenly distributed. With high arches, the heel strikes first, and then the weight is transferred to the side of the foot. This means that the foot doesn’t roll inward enough or doesn’t roll inward at all. A normal or medium arch is the most common arch type. People with this arch are somewhere in between high and low arches. Biomechanically, it is the most ideal as it supports the weight of the body sufficiently. It also is the most efficient in dispersing impact upon landing. Those with normal arches are not exempt from foot pain, but internal structures within the foot may not cause it. 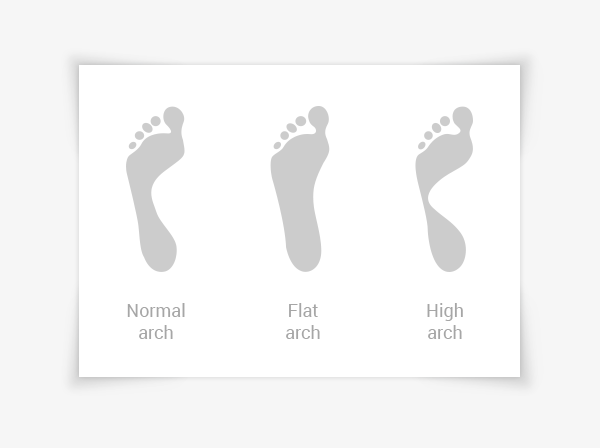 Commonly, those with normal arches experience problems because of shoes that don’t fit well or shoes that do not cater to the specific needs of the runner. Those with normal arches pronate normally. During runs, the heel strikes first. Then, the foot rolls inward sufficiently as the weight is transferred to the middle and the front part of the foot, forming a stable platform. Next, the runner pushes off from the big toe. This running gait is ideal. So which arch do you have and how do you run? Despite the descriptions above, one may still have a hard time knowing the answer to the question. To be sure, you can go to the running shoe store nearest you. Most stores have specialized equipment and tools to determine your arch type and running gait accurately. 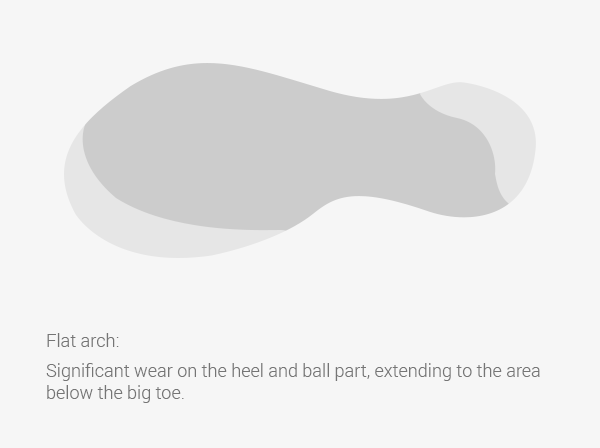 Heel and Forefoot Wear - Once you see that there’s significant wear on the heel and ball part, extending to the area below the big toe, it usually means that you overpronate or your foot rolls inward more than usual when you run. Edge Wear - Do you see the wear on your shoes concentrated on the outside? Rigid high arches could cause this. Since your foot doesn’t roll inward enough or at all (underpronation), the first part that strikes the ground is the outside perimeter of your foot. It’s also likely that your upper may have a tear. 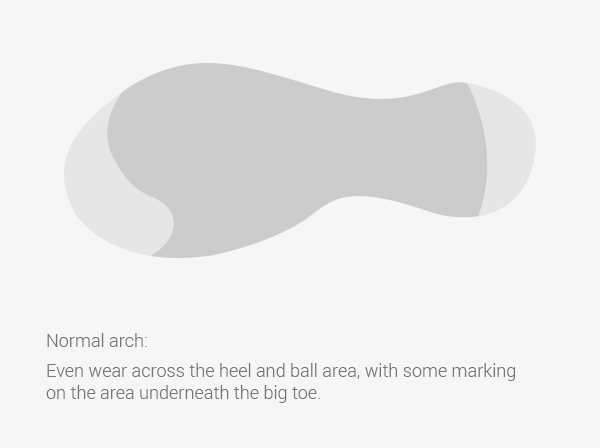 Even Wear - If you see that your outsole has even wear across the heel and under the ball area, with some markings on the area underneath the big toe, you’re most likely a neutral runner since this wear pattern indicates even transition on every phase of the running cycle. Step 2: Know what type of road running shoe you need. When you have already determined your arch type and running gait, the next thing you need to do is identify what type of road running shoe fits your needs. The types are based on your specific biomechanics and running gait. For extreme to moderate overpronators, road running shoes that are the motion control type are best. This type commonly includes a structure for medial support, a stiff heel, and a straight shape. The idea is to keep the foot from overpronating or rolling inward excessively. Because of its features, motion control shoes are commonly heavier. They are equipped with technologies that help support the collapsed arch and lock the foot in place, minimizing the foot from rolling inward too much. This type is also known as guidance shoes as it guides the foot into its neutral placement. Another type of road running shoe that’s fit for mild to moderate overpronators is called a stability shoe. This type can include features for both support and comfort. Similar to motion control shoes, it could also have a medial or lateral post to control overpronation, but it combines these features with a flexible upper and a dual-density midsole. Stability shoes are not as heavy and as stiff as motion control shoes as it doesn’t control overpronation completely. Neutral road running shoes are ideal for runners who are normal pronators and underpronators. This type was designed to cater to the normal inward rolling of the foot during runs. A neutral shoe doesn’t offer any motion control. Instead, it allows the foot to move naturally, as it promotes impact attenuation and enhanced performance. Neutral trainers are stocked with different features. The features commonly include a cushioned midsole, a flexible and breathable upper, and an outsole that provides ample traction. Of course, the features can vary as makers dole out neutral road running shoes with different technologies for different needs. Normal pronators can benefit greatly from neutral road running shoes as long as the right features are in place. Underpronators or those with high arches, on the other hand, need a neutral road running shoe with distinctive features. The high arch needs to be supported by the design and shape of the shoe. The upper and midsole also need to be flexible to encourage pronation. The most important feature for high arches is the level of cushioning. To protect the foot and disperse impact effectively, the more cushioning, the better. Some runners prefer a closer-to-the-ground feel. Instead of neutral shoes with cushioning and supportive technologies, these runners opt for barefoot shoes or minimal shoes. These types of neutral runners allow the foot to move naturally. From their names, the construction is very minimal. They are not equipped with plenty of technologies and only offer minimal protection from the ground. Step 3: Decide what features you require in your road running shoes. Flip your running shoe over. The pattern you see at the bottom is called tread pattern. It’s mostly responsible for the grip of your road running shoes. It prevents runners from slipping and sliding while running on various surfaces. The tread pattern you’re going to choose needs to match the running conditions in your area. For example, if it’s always raining in your area, you might need to go for a tread that’s aggressive. On the other hand, if you’re going to use your trainers for the gym or running over the road, pavement, or other flat surfaces, you can do with a tread that’s flatter and simpler. Maximum – Maximum cushioned shoes offer maximum impact protection. 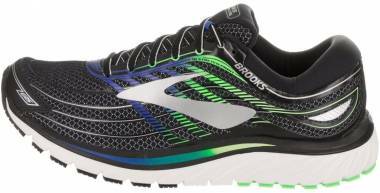 They work best for daily high mileage runs and runners who have larger frames. Versatile – Versatile cushioning is somewhere in between maximum and minimum cushioning. With this level, runners can experience a more energetic run at a faster speed. Minimum – Shoes that are minimally cushioned bring a close-to-the-ground experience. This level of cushioning offers a thin layer of protection underfoot. These work best for strengthening the feet during training. We already covered the different types of arches in Step 1. By now, you may already know what your arch type is. Take this into consideration when choosing road running shoe features. You should know, however, that whether you are shopping for shoes online or offline, road running shoes will specifically be labeled or categorized according to their arch type for easy identification. You don’t need to look at the list of shoe features anymore. Instead, you just need to check the description to see whether the shoe is for neutral, low or high arch types. Your shoe’s drop refers to the difference of the thickness of the heel and the forefoot. It is also known as the heel-to-toe drop, offset, differential, stack height and, sometimes, ramp angle. There are different opinions in the running community when it comes to choosing the right drop. However, a 2015 study conducted by BM Nigg and associates suggests that runners select a product based on their own comfort filter. Whatever drop runners are comfortable with will allow them to remain in their preferred movement path. Another study conducted in the same year by L Malisoux and colleagues found that interchanging shoes with varying heel-to-toe drops seem to reduce the risk of running-related injuries in recreational runners. They attributed their finding to a more adapted musculoskeletal system brought about by wearing different shoes and engaging in different sports activities. Choose a shoe drop you’re most comfortable with. 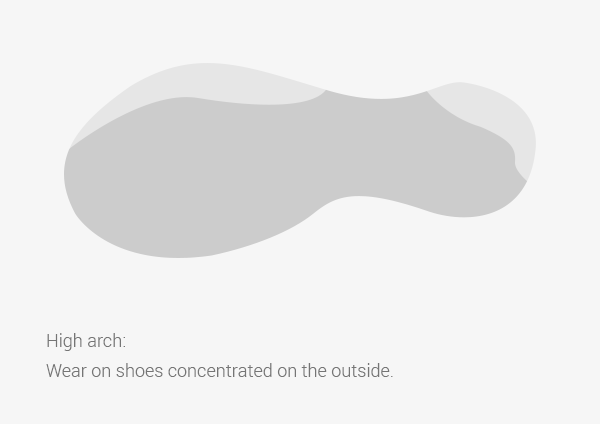 Change it up by purchasing different shoes that have varying drops. If the offset isn’t stated, all you have to do is minus the heel height from the forefoot height. For example, if your shoe’s heel height is 18mm and the forefoot height is 10mm, then your shoe’s offset is 8mm. Water Resistance – What you need to keep in mind when you go for water-resistant uppers is that it might sacrifice breathability. If you’re running in hot weather conditions, you might go for an upper that’s more breathable than water resistant. Breathability – a road running shoe with a breathable upper works best for daily or training runs under normal to dry weather. The whole idea is to allow air to move in and out of the shoe easily, keeping the inside environment cool. Reflectivity – a reflective upper will prove useful when the lighting conditions are low. Some runners like to run at night. To improve their visibility, an upper that reflects light is a must. Style & Design – some runners like to wear running shoes to work. Some use their running shoes as a street-ready sneaker to be worn on the daily. The style and design don’t affect the performance of the shoe much, so it is up to the runner’s personal preference. Lacing System – the main purpose of the lacing is to prevent the accidental slipping of the trainer. Consider the length of the laces and the ease of which you can tie it. In choosing the right road running shoes, weight is another aspect that you should be examining. Shoes for the road can be as light as 150 grams and below to as heavy as 300 grams and above. The weight will depend on the different features the shoe possesses. For example, if you’re an underpronator, you should go for shoes that are well-cushioned. A shoe with a higher level of cushioning could be heavier compared to one that only has minimal cushioning. Also, if the outsole of your road running shoe is robust, it may add on to the total weight. You may also look at road running shoe weight with usage in mind. Those who are training may use barefoot or minimalist shoes which are the lightest. These have thin uppers and a midsole-outsole combination that promotes ground feel instead of cushioning. How road running shoes fit is different for every person. Some prefer more wiggle room in the toe box – the part of the shoe that covers the toes. This can be the case for those who have wider feet or those who have bunions. On the other hand, there are those who like just the right amount of space to allow toes to move. This could be the case for those who have narrower feet. In general, road running shoe fit is all about personal preference and foot shape accommodation. Ideally, the fit on the heel and midfoot need to be snug to promote stability when running. Remember that “snug” is different from “tight.” Your heel and midfoot areas shouldn’t feel pinched or constrained whenever your foot flexes. The toes, however, need to have a bit of a room to splay. The toe box needs to have enough room, so the toes can spread upon landing and when toeing-off. How much room you want in your toe box is totally up to you. In most cases, you’ll be able to tell if the toe box has too much room. One of the keys to getting the fit right is to choose a road running shoe that’s the correct size. The very first mistake beginners make is that they assume their size for other footwear is applicable when choosing running shoes. Most of the time, this isn’t the case. Shoes designed for running are typically a size larger than your usual shoe size. There’s also the topic of width which many beginners do not think about. When the shoe feels a little tight, instinctively, what most of us do is go for a larger size. It’s possible that all we might need to do is go for a wider shoe, not a longer one. Step 4: Know your budget. Road running shoes can be expensive, but you can save a few bucks by choosing a pair based on how you’re going to use it. For example, runners who plan to run for longer miles every day need shoes with comfort and support features. This kind can be pricier compared to running shoes used for leisure running. If it’s your first time buying road running shoes, it’s recommended that you go to a specialty running store, so your biometrics can be analyzed, and you can get fitted properly. You’d have to pay full-price considering that you’re using their services. After you’ve done this, you can switch to online marketplaces where you can choose a road running shoe on your own. Online retailers definitely offer more competitive prices. From time to time, online sales and discounts are offered, making the price of road running shoes more affordable than those sold in physical retail stores. You need to take note, however, that low priced shoes may not be as durable as the ones in the premium price range. Of course, there are exceptions to this rule. If you read plenty of road running shoe reviews, you may find one that’s made of high-quality materials but still affordable. Step 5: Read reviews and purchase. When you’ve gone through steps 1 to 4, you’re finally ready to read reviews before you make your purchase. Going through reliable road running shoe reviews is a must because of all the shoe options that you encounter. If you’re focused on cushioning and comfort, there are probably about a thousand shoes that can give you those features. Which one out of a thousand do you choose? This is where reviews come in. Reading running shoe reviews carefully will allow you to compare features and prices. It also gives you an idea about the experiences others have had with a particular trainer. On top of that, you’ll save time since you’ll be able to narrow down your choices quicker. Here at RunRepeat, we spend approximately 15 to 30 hours on researching about running shoe technology and upgrades. This allows us to present our readers with accurate information that could help in deciding which shoe is the best purchase. On top of that, we collect expert reviews of various road running shoes. A score of 0 to 100 is then given. We call this the RunScore. The higher the score is, the better the reviews. Our site is open to bloggers, running experts, and retailers who wish to add their RunScore to a road running shoe they’ve tried. 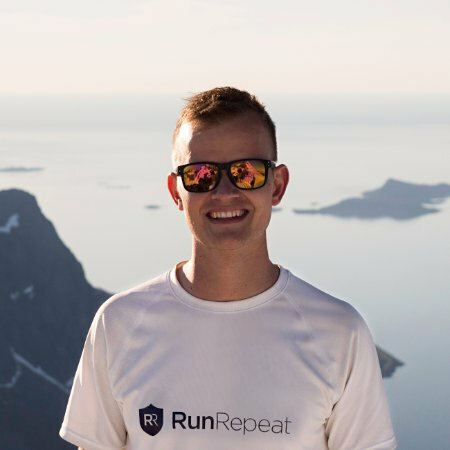 When it comes to making purchases, you can also see the best deals through RunRepeat. Try several shoes at the end of the day. Because of all the walking and standing, we do throughout the day, our feet swell. We may have shoes that fit perfectly in the morning, but they might feel tight in the afternoon. If you try on road running shoes at the end of the day, you’ll have a pair that will always fit. Always try on both shoes. One of your feet may be larger than the other. In this case, you must go with the larger size. Wear your daily socks as you try the shoes on. Consider the thinness or thickness of your socks. Run on the shoes. There are road running shoes that may feel soft and comfortable as you stand but running in them might feel different. It’s going to be a bit tricky when it’s your first time ordering a pair of road running shoes online without knowing your right size. To get the proper fit, read the sizing guide of the website you’re ordering from carefully. Try on road running shoes from a physical store, so you’re sizing is more accurate. Make use of different lacing techniques to get the perfect fit on your midfoot. You can also make use of inserts to improve your shoe’s fit. Other specialty inserts like orthotics bring you more benefits. It doesn’t just improve the shoe’s fit, but it controls odor, it enhances the comfort felt underfoot, it gives better arch support, and improves cushioning. Can I use my road running shoes at the gym or for work? Yes, if you get the right pair with flexible features. Most beginners don’t just buy road running shoes for the purpose of running. They make their purchases because they want an everyday sneaker to fit for the gym or work. However, you need to double check the outsole of the road running shoe you want to buy. Some trainers could leave rubber marks on floors. Isn’t stability and motion control basically the same? It’s accurate to say that both types of road running shoes can control pronation. Despite this, the main differences are in the features and the usage. Motion control shoes are typically rigid and heavy because they aim to control extreme overpronation. Stability road running shoes, on the other hand, are not as rigid. They’re focused on controlling overpronation but still give way to a bit of flexibility. Are barefoot and minimalist shoes similar? Yes, barefoot and minimalist running shoes have similarities. However, the main difference these types of road running shoes have is in their protection level. Barefoot shoes are the closest to barefoot or natural running. Minimalist shoes, on the other hand, offer a bit more protection while maintaining the feel of the ground. How do I know my foot width? The best and most accurate way of knowing your foot width is by going to a physical store to have your feet measured. Specialty running stores have a tool called a Brannock Device which will tell you exactly how wide your foot is. How will I know if I need a wider shoe? Recall your experience with your old road running shoes. Have you gotten blisters on the sides of your forefoot? Did your foot hang over the edge of your shoe’s platform? Has your shoe ever cut off the circulation to your toes? If your answer is yes in all of these questions, then you need a wider road running shoe. How long will my road running shoes last? Definitely, your road running shoes aren’t going to last forever. They’re eventually going to break down. How quickly will depend on how you use them. If the midsole of your shoe is robust and well-cushioned, they might break down longer. Last year’s models will work fine, but be careful. Road running shoes that are over a year old might have midsoles that have already hardened. Shoes that have been used for years could still work, but they may not be suitable for running anymore as the midsole has most likely been already affected by some wear.